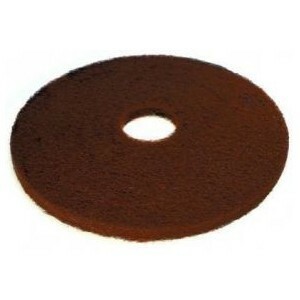 The BROWN DISC is composed of a polyester structure with a high density of resin and mineral. It has high resistance to acid or alkaline substances, it is used wet to carry out manual dewaxing and descaling washes. Dewaxing cleaning on cotto, stone and cement.